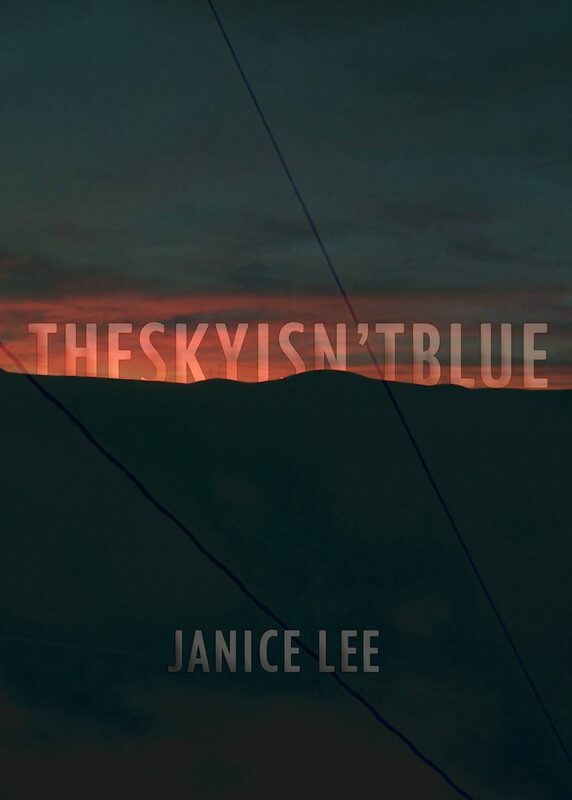 Although in my distraction, I initially assumed The Sky Isn’t Blue to be Janice Lee’s return to fiction, I was pleased to discover, coming to my senses, that it was a collection of essays regarding phenomenology and space. Thus, assuming that it was possible, I made the determination before I began reading to approach the book as the architect me, rather than the writer me. Knowing Lee’s previous writings and her interests to a certain extent, I was enthusiastic to quell my paranoia about the invisibility of space with the reassurance of her slow attentiveness. Yet, more than rehashing Bachelard, these writings integrate spatial consciousness with her personal reflections on relationships, place, and writing. This is Bachelard for the age of the digital memory, the confessional Bachelard. It’s not an easy sell to an architect to admit that space is more frequently about relationships and loss than it is about fine detailing or formal vocabulary. Most architects will tell you that they think of the person in their design process, but they are lying. The Sky Isn’t Blue was necessary for the architect me, because the primary thing that Lee reveals through the filter of her biography is that we are all different, that everyone is going through different things at different times, that we can’t possibly see into that life, but that the one thing that unites is space. That is the one thing we can agree upon. And for that space — and the writing that aspires to embody it — to truly be considerate of our cacophonous differences, it must fail to address them. It must find ways to turn its back on us while still containing us. I latched onto two writings in The Sky Isn’t Blue to frame my thoughts. I consider these two essays to be the key nodes in the argument Lee is making with the book. Both essays are about the Salton Sea, outside Palm Springs in California. The first is an establishment of its vast thrall. It describes the asymptote of ever fully understanding the place. “We all begin with the premise that the color of the sky is blue. But the sky knows how to not fall onto the ground below. A restless perambulation on the threshold of being: this is the definition of a poem.” There is panic in this. The second is indulgent, familiar. It is accepting of the greatness of the place. Her concern about the possibility of pinpointing the place in her voice slackens. “It’s about the intersection of one’s intention and patience and existence with another’s colorblindness and absence and languid imagination. It’s about trying and failing.” Following Lee’s lead and banking on biography as a manner for reconsidering space, I recall a memorable experience I had at the Salton Sea. In the fall of 2000 I was a graduate student at Southern California Institute of Architecture. After a Thanksgiving dinner at a classmate’s apartment in Santa Monica, I found myself pondering the rest of the evening with my friend Thomas and a German student, Ulrike. Uli chided us for suggesting coffee at Mani’s Bakery or going to the Santa Monica Pier. She wanted to do something real. The three of us loaded into her Delta 88 — as a German she was thrilled to be in the U.S. where she could drive a preposterous car, and it was preposterous — and made our way onto the 10. The almanac shows it was nearly a new moon. I can’t recall that of course. Regardless it didn’t rise until 3AM. My recollection of the drive is a blur. The three of us were already exhausted being in the midst of our thesis semester. It is about a three hour drive. We must have arrived at the little parking lot at around 2AM. There was nothing to do in the dark so we tried to sleep. The car was wide enough to stretch out. Still, it was not conducive. The desert gets very cold. Apparently civil twilight that morning was a little after 6AM. I don’t recall ever seeing the sunrise in such a miraculous fashion. I can’t remember the colors, only the mutedness of the setting, its great volumetric powderiness. The one thing I do remember is stepping out of the car into that powder as it slowly enflamed. Stepping onto the beach, at first feeling the sensation of sand sinking underfoot. Still too murky to see. And the sky reflected in its fresh luminance all out across the great stretch of still water. A clear morning. And in the reflection of the sky absent of clouds, bits of white fluff materialized. These bits of white coasted across the calm water like tiny foam icebergs, like breath-filled white plastic grocery bags. They were everything because they were nothing. And as the dim gave way to more robust sunlight the white bits of fluff became white pelicans, birds, that they had not been a moment before but for the unfamiliarity of the place, the romance of newness in the situation, and the fallibility of my senses. The white pelicans coasted together, and their wakes disrupted the reflection of the sky. I looked down and I was standing in the scales of thousands of dead fish. As an architect, the notions of what composes space and what ratifies it, what makes it tangible, what aspects of it venture through the limited permeability of perception, and then through the even more exclusive membrane of our attention to the world around us, have been pivotal to my later thinking about the built world. I have come to this: architectural space is dumb; it is mute; it is meaningless. It is the marshaling of two characteristics (for those of us with the privilege of sight): geometry and materiality. There is a nearly limitless combination of how these characteristics can manifest. Below these I ascribe a secondary, although perhaps more important characteristic that potentially unifies the two: iconography. This is the way geometry and material come together in a culturally accessible way. Iconography is not globally transcendent, and therefore lacks some of the dumbness of the primary two. Let’s first stick with geometry and material. The marshaling of geometry and material are put towards an endless array of causes in the form of differing functional typologies, varied scales, tonal schema, and perceptual plays. All of these, for the most part, have a socially understood custom of use. We go to a courthouse to participate in the adjudication of crimes. We go to a house to feel connected, to feel grounded, to live. We go to a mall to shop, not to ride a motorcycle while swinging a machete. Even though these are vague gestures toward use, when we distill them, they do not limit the mind. They do not limit the penetration of our personal, peculiarly biographical interactions with geometry and material. They do not limit the mnemonic virus of space taking root in our memories and our perspectives. That is to say, as specific as a building feels, as prescriptive as its use may be, our bodies and our minds are so free, so impossible to reckon, that space is relatively dumb. It is at the disposal of our minds and bodies. So approaching the question Lee asks, based on my perspective as an architect, and, with not much of a remove, my perspective as a writer: can something written possess the qualities of space? I really don’t think so. But I do side vigorously with the aspiration. I think a writer can come close. But different from architecture, reading is an active pursuit, one of focus with the object, one in which there is at least the appearance of intrinsic meaning. One can be actively conscious in space, but it is not the default setting. As much as it is designed and overwrought — even the most idiotic building (Wal-Mart) is an assemblage of many many materials, trades, details, and scientific and cultural concepts — space recedes to allow the human mind to surface to the top, to muse, to be in ultimate control. This crucial difference implies a necessary translation of states from space to text. It is misguided to believe that by diligently transcribing a space into text through description, that the description will then be a space. Georges Perec’s An Attempt at Exhausting a Place in Paris is a good example of this. One is far more conscious of Perec as the observer, his methodology, his preferences, than one is able to occupy the space he is cataloging. There is at stake in this translation of states, from space to text, a functional analogy. The text aspires to “function like” the space. Its material properties could not be more different, thus we have to isolate the fundamental qualities and understand how the new material, with its own properties of strength and weakness, can actuate that same function. A good example here is the running blade prosthetics used by track athletes. Contrary to conventional prosthetics whose goal is to resemble the biological limb, running blades aspire to function as close to the human leg as possible. Given the material of carbon-fiber reinforced plastic, the appearance and logic are remarkably different than the biological leg. In fact the nuances of their function are somewhat different as well. But, the analogical relationship of allowing the athlete to run is preserved through this translatory network. I find text to be most like physical space when it looses itself, to the extent possible, from the notion that it is contingent upon itself. For, although our experience of space is an inherited sequence of contingent actions and perspectives, it is one we elect. A text that is a space is one whose project is to empower the reader, whether they assume that power or not. Even if read linearly, the reader should sense fluid buffering components of the text from one another. Let us wander. There are examples where text is not read in a linear fashion: Hopscotch, Dictionary of the Khazars, Pale Fire, Infinite Jest, Roubaud’s “project.” Yet simply disrupting the organization tactically does not necessarily make the text spatial if its narrative is still strategically contingent, as some of these are, if its prose is not in on the game. It seems there must be some level of deadness, not to say lifelessness, to the project of the prose. It could be dead from choking on its own abundance or it could be dead from self-mummification. It should not evoke an other (or author), it should be such that it can easily be donned by the reader. As Barthes remarks in The Death of the Author, “To give an Author to a text is to impose upon that text a stop clause, to furnish it with a final signification, to close the writing.” This erasure can be accomplished through the application of any number of strategies, be it experiments of voice, obfuscation and contradiction to a breaking point, even the use allusion, found or stock material. To these points, I would assert that both the content and the tactical hypertextuality of Wikipedia is as close to being a written space as I can imagine. It is arguable whether it is literature because it does not have edges. It is not a body. But it is clearly a piece of writing. In recent memory, Agustín Fernández Mallo’s Nocilla Dream has come closest to writing a space as I have found in a work of literature. The book utilizes narrative elements, found text, and unreliable attribution to construct a vague, but clearly corporeal, mass. Even though read in order, one has the sense of wandering, of constructing relationships on the fly. Additionally, the prose of Nocilla Dream is dull. It lacks wonder. Much of it was found text from journalistic sources, and much of the rest reads similarly. That is not enough on its own. Stendhal’s famous aspiration, whether earnest or not, to write prose in the mode of the Code civil did not — or would not — have the same effect when applied to one of his psychology-driven narratives. If it were as simple as contingency and prosody there would be no question to discuss. But there is something impossible about the task of writing a space that cannot be articulated. There is the sense of the enduring in space. We turn our back and it remains. It is inevitable, preexisting. To be a space, there is a level of distraction that must occur while reading, while at the same time providing for the reader to come to their senses and find a universe of sensory possibility latent in what the moment prior was passing by beneath their recollection to buy cat litter. At one point, in the essay “Dead Calm,” Lee says that humanness comes with waiting, “Even in the laundromat, when the dignifying and distinguishing gesture is solely of waiting.” Is there such idleness possible in text? Is there a way for the human to “be” as the text recedes? Another recent read, Ronald Johnson’s Ark, behaved in such a way. This book-length poem admittedly aspires to be a space and uses as organizing principles a series of architectural terms (foundations, spires, ramparts). The contents of the poem, however, though linked to those devices structurally, are fluid, often nonsensical, full of wordplay, and quite often, again, found material. The obtuse disposition of much of the text, its word choices, word juxtaposition, is disorienting to the point of shutting down readerly attention. The mind wanders as if being in the presence of a strange peripheral conversation. However, and not for any particular pique of the text itself, the mind returns, and is treated with rich phonetic relationships, cultural resonance, and sonorous luxury. It is not really possible to pull out a quote. It would not work. One cannot get a spatial sense from a photo of a waterproofing detail. The above examples are those that function in a realm analogous to the geometry and materiality of space. Iconography is the trickier mechanism because it capitalizes on duration. It is noteworthy that Lee posits her question at the Salton Sea. I don’t often associate natural landscapes with the word “space.” They have spatial qualities, to be sure, but I tend to collect them more under place. In our contemporary culture, you go to the landscape to be there. You go there to attend to it. The culturally abiogenetic nature of the landscape — that it is dead, our culture did not make it, but gives it life — is similar to the urban condition, where although there is rife authorship, its aggregation tends to subdue any attention to its grain. Parts of cities then are places. Different from an architectural space, the notion that we find places meaningful because they have no author is interesting and potentially valuable in considering Lee’s question. A wonderful suite of works by the artist Corinne Vionnet is illustrative. In Photo Opportunities, Vionnet used hundreds of overlaid photographs of landmarks from around the world to compose singular, shivering, ghostly representations. Her website says, “We travel, we see a monument, we take a picture. Framing sites of mass tourism in our viewfinders, we create photographic souvenirs that are integral to the touristic experience.” But the series does something else. It tells us that we can register with space. Iconography can compel the body, through its desire for a cultural unisonous experience, to coordinate its specific relationship to the space. To my mind this is the closest that architectural space comes to compelling bodily attention. The telling thing to me about this is that its mechanism is extrinsic to the authorship of the architecture. It is cultural. As quickly as we step away from this station point back into the wrought space, the haze sets in again. The Salton Sea has an unearthly, surprising quality. It is timeless. It seems found. It seems eternal, a given, empty, open to our wide impressions, unfettered by any sort of intention or meaning. I am aware of this quality in some cultural artifacts. It tends to emerge out of two characteristics: age and saturation. A few years ago I first saw a video of the Bee Gees performing a live version of “Nights on Broadway.” I’ve only ever been a casual listener. The presence of the Bee Gees’ music in contemporary culture is rather unavoidable. What astounded me about this video was that the Bee Gees were actually a band, playing instruments, playing a song they had written, sweating and slaying. In the cultural landscape manufactured by the saturation of their music, and by my being born just after their hey-day, their music just was. It was an immaculately conceived terrain, separate from them as people, not having been made by them, not having root in their inspiration, their collaboration, their strife. Something similar is at work with the Bible. Through an innumerable series of causes including its age, its cultural saturation, the obscurity of its origins, its lack of a definitive state, it is impossible to imagine, with the clarity necessary to be disruptive, an actual person putting pen to paper (or whatever) and writing any of it. Iconography though, being only one aspect of space, and being a near impossibility in writing, is not viable as a translatory element in the writing of space. Some other manner of enduring in a text can provide that resonance. As an architect, the easiest thing to forget about in the design process is the presence of real people in a built work. 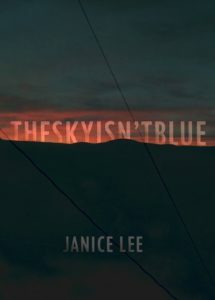 In The Sky Isn’t Blue, I believe Janice Lee is arguing that the resonant aspect of writing that brings us into spatial consciousness, that interlocks contingency and prosody, is empathy. The juxtaposition of acute humanity with a spatial text, like self-weathering steel or pre-patinated copper, allows the book to become a book that has always existed. It is what she sees in Van Gogh’s paintings, “how inexact and how removed from reality, how imperfect and perhaps unobvious, yet, full of intention, genuine emotion, sadness, clarity, puzzlement, wonder, devastation, awe, curiosity, love.” This is the crux of Lee’s argument, and why it is so different than mine. These kernels of life are the missing element in the translatory network. Now here is the task. Think of the vilest human being you can conjure. Now become him. Be possessed by him. Understand him so fully that you become him, he becomes you. Here is empathy. You did not understand it until now. Here is the ability to recognize what it means to be a human being amongst other human beings, to recognize both the extreme goodness and the extreme vileness present inside each and every one of us, to become the other, to let the other become you. I suffer tremendously from paralysis in relation to any semblance of life in writing. Yet as I recalled my trip to the Salton Sea its wonderment and perceptual spatiality are the product of my humanness. The human, the uncertain, this is the space-making of text. Simply because it is alive and has a voice doesn’t mean it is not the dead and the mute of space. It is a text. It is an object. I can’t say I am cured of my paralysis. I stand with my far above statements, but The Sky Isn’t Blue pressed on that missing human element for me. And Lee becomes this in her own book, almost as a role model. She becomes weakness. She becomes anger. She becomes mistrust. She becomes grief. Of course she is not vile. But she is human. And it is without difficulty that every reader is human. Blank pages are numbered. / I read the contents of the book, but I was reading another book. Perhaps I read a book that contained the other book. At many points I did not know which book was on my lap. / The fact that ‘the book’ arrives before the book begins is essential to this. The preface is the preexistence, the outside. It is Janice Lee. ‘The book’ exists before preexistence. ‘The book’ is outside the outside. / Perhaps one of these is apocryphal. / There is no space, only time. / Perhaps the book is the inhalation of the author, drawing the contents of time back into her mind. / Darkness is the unfettered outpouring of ink though, the consummation of every surface filled in the object of the book. Perhaps this is a bleeding, a letting out. Perhaps the inhalation of time is only possible with the bleeding of content. Or, like Roubaud asserts, the act of inking the memory or the image kills it, draws it and us forever into the text.